Less cruise and more real expedition, a voyage through the High Arctic of Canada and Greenland offers a deeper look at a dramatic place. The High Arctic of Canada and Greenland, on a 5500km voyage to less than 1400km from the North Pole, has thrown the lot at Jason Edmunds. The 27-year-old Inuit expedition leader of Adventure Canada’s Arctic voyage has had to handle storms, blizzards, sea ice and pea-souper fog. There have been spots where a landing in Zodiacs was impossible because of conditions, so he has found others. From the ship, he has arranged extra shore visits to the Canadian Inuit community of Arctic Bay and, in Greenland, to pretty, remote Upernavik on a picture-perfect day. When fog thwarted a landing at Karrat Fjord, he found a new spot, never before visited by Adventure Canada, and we went ashore for a splendid outing. Jason (pictured above) has taken us in the footsteps of the great expeditions, navigating the Northwest Passage, and steered us through conditions that have given a taste of what their testing times must have been like. I feel I have been on a real expedition, not just a cruise. 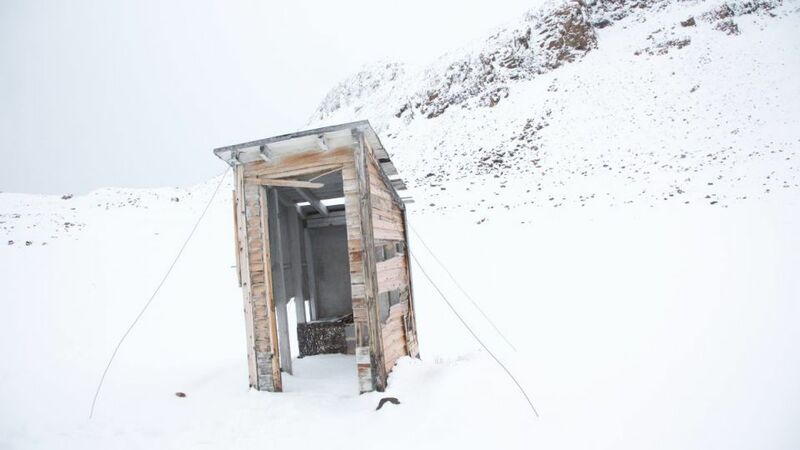 I have experienced some of the true nature of the Arctic. And I have travelled on a lot of expeditions, but can’t think of a better expedition leader. Jason, on his first trip as expedition leader, has done it all calmly, with confidence, with good grace and good humour that has instilled confidence and empathy in the 140 or so passengers on this expedition cruise. Jason is the husband of Adventure Canada chief executive Cedar Swan and proud father of daughters Charlotte, who was born in 2013, and Islay born last year. The family now lives near Lake Ontario in Port Credit. But Jason grew up in Makkovik in northern Labrador — a remote part of northern Canada which sits alongside Newfoundland and Nunavut. He was a motivated youngster who contributed to Inuit youth groups, language and cultural committees and sports teams. Travelling the Labrador coast with his father to help with tours and charters gave him an early training. Jason studied political science at Memorial University, Newfoundland, then tourism, was recognised as a youth role model by the Nunatsiavut Government of Labrador and Newfoundland for his work in education and is a fellow in the Royal Canadian Geographical Society. Jason’s interest is in people and cultures and showing people his home waters of the Arctic. The Antarctic is of no interest to him. For while the southern polar regions of Antarctica have never been a permanent home to humans, in the north, the Canadian Arctic is rich with tradition, customs and stories beyond that of the extraordinary tales of European expeditions. This is the home of the Inuit people, whose ancestors are the Thule people who spread east from Alaska. And Adventure Canada specialises in expeditions through the Arctic, Northwest Passage, Greenland coast, Sable Island, Newfoundland and, of course, Labrador. They take place on the ice-class Ocean Endeavour which is 137m long and takes up to 198 guests in great comfort. Adventure Canada prefers to run the ship, which can actually accommodate around 300 people, with many fewer than the 198 it has capped its cruises at. The ship has a shallow draft, allowing it to get into shallow fjords, and delivers guests to shore in 20 Zodiacs. All of this, of course, comes with Jason’s gentle warning “conditions permitting”. Which, on this trip, has proved testing. Singer and storyteller David keeps the days tripping along pleasantly — a skilfully and languidly chatty chap — but Jason sets the tone of the trip. “Good morning ... good morning.” Long pause. “Good morning, ladies and gentlemen.” Even his wake-up announcement over the ship’s PA system is given with a rich gentleness. In the evenings he leads the debrief of the day and cleverly gives a detailed briefing for the next, so we are all well prepared for landings and outings — conditions permitting. Adventure Canada is truly a family business. Started by Matthew Swan, his brother Bill and friend Dave Freeze in 1987, it is still very much in the family. Matthew’s daughter Cedar Swan is chief executive, and, of course, her husband Jason Edmunds is expedition leader and planner. Cedar’s sister Alana Faber runs operations and brother Matthew is responsible for business development. Alana’s husband, Brian, and Matthew’s partner Devon all work in the company. Dave Freeze’s sons Daniel and Dawson are there, too. This family feel is fundamental to Adventure Canada. It’s personal, and that extends to the extended family of guests. Stephen Scourfield wants to share his Arctic experiences and so he is personally leading a Seven West Travel Club Tour Arctic Safari in 2017. 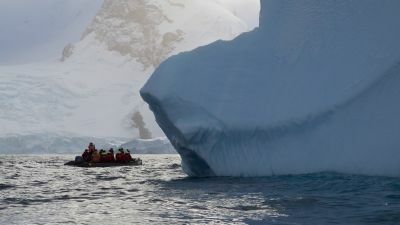 This exclusive group will join Adventure Canada on the Ocean Adventurer on a voyage through Nunavut, Greenland and across Baffin Bay from July 30 to August 10. Stephen says: “It is my big Travel Club Tour of 2017. It is an adventure I have sought out; these are unusual places; places I know; places and experiences I want to share.” Stephen will prepare the group beforehand, be with the group throughout the voyage and help with photography. There are limited places. The tour costs from $18,900 (conditions apply) including flights and departs Perth on July 28, returning on August 13, 2017. Gold members can use their $50 voucher towards the cost. 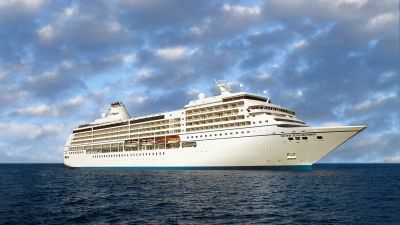 To inquire or book, go to sevenwesttravelclub.com.au/tours or phone 1800 998 121. Stephen Scourfield will be holding a free information event on the Arctic Safari adventure on December 6. Register by emailing: info@sevenwest travelclub.com.au.